As America’s only full-time professor of art crime, Dr. Thompson studies the damage done to humanity’s shared heritage through looting, theft, and the deliberate destruction of art. She has discussed art crime topics in, e.g., The New York Times, CNN, NPR, and the Freakonomics podcast, and has been invited to lecture at MIT, Carnegie Mellon, and Columbia. Her book, Possession: The Curious History of Private Collectors, is now out from Yale University Press. Currently, she is researching the ways in which terrorist groups both sell and destroy art to support their genocidal campaigns, as well as the legalities and ethics of digital reproductions of cultural heritage. 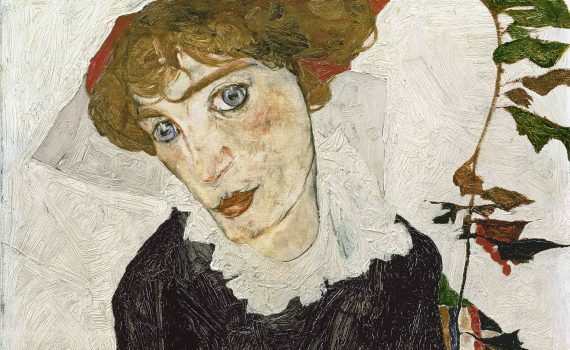 This portrait is one of thousands stolen by the Nazis, and its story shows that the madness didn’t end with WWII. A third of the artwork in Europe was moved or stolen during WWII, and legal battles for their return rage on. Gods carry away the dead on a pot looted from a tomb, trafficked out of Italy, bought by the Met, and finally returned.